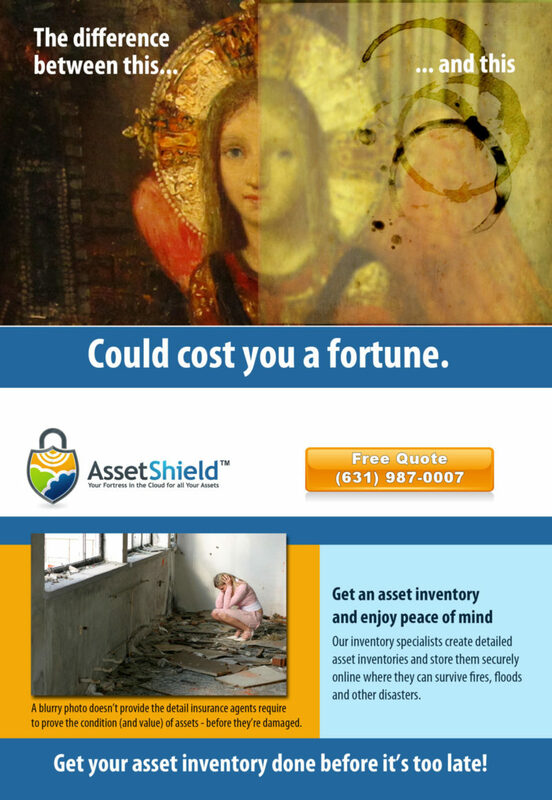 AssetShield was conceived when the founder’s neighbor lost his priceless baseball card collection in a fire – and there were no surviving records of what he owned, or what condition it was in. It was a total loss. My research not only helped shape the design, information architecture, and content strategy — it actually revealed an entirely new (and lucrative) market opportunity. If you want to know what my process is like, read the creatio ex nihilo story below. We walked the client through multiple page layouts, and ways to overcome the natural skepticism of high-end customers via good design. The design needed to catch the attention of the visitors immediately with striking images that evoked consequences - and then reassured.. It turns out that the initial focus on sports memorabilia, while compelling, was shortchanging the need in the much larger market of high-end art collecting. We were looking for an interior that looked like is was well-designed – without being overly cluttered or intimidating. It needed to be clean, so as not to distract from the messaging. After the initial “aspirational” sliders that sell the advantage, we needed to hammer home the alternative; the downside of not having a cloud-based system. After all, everyone hates paperwork, right? I've worked with a lot of startups and founders over the years, but rarely have I come into the process even before the URL has been chosen. Here's how I guided the founder and his team through the process, from start to finish. The founder and his tech team spent months building a secure cloud-based record-keeping system; the back-end was bulletproof, but now they needed to build the entire customer-facing presence. There wasn’t even a name yet for this company, and I went through an entire branding process with them, to find a name/URL combination that not only described what the company did — but that wasn’t already taken. 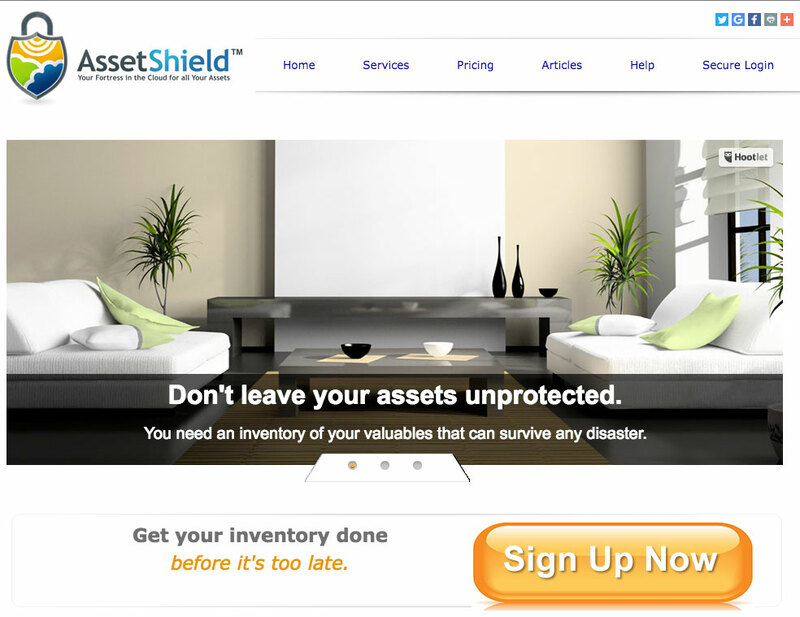 Now that we had a name, logo, and basic concept for what we wanted the site for AssetShield to accomplish, I had to start figuring out what we needed to do to have maximum impact – without scaring away our users. But to do that, I was going to need to get to know the target market a whole lot better. Right off the bat, I realized that the initial target market had to be high-net-worth individuals. Yes, everybody should have a record of the contents of their house. But not everybody is going to be able to afford an entire team with cameras and computers to come in, ransack every square inch of the house, take high-quality photos, and categorize and tag everything of value, so it can be cross-indexed and found in a secure cloud-based database. So I dug in, and started researching what these people would be like. I conducted interviews with wealth managers, real-estate agents, insurance claim adjusters, law enforcement and home security, and, crucially, art gallery curators (but more about this in a bit). 8. Environment: if running a business, constantly pressed for time; if retired, then constantly fending off charities & causes; very suspicious of offers that turn out to be “too good to be true.” VERY HIGH SKEPTICISM. While conducting research into possible threats to high-net-worth individuals, I interviewed a law enforcement officer on Long Island. He mentioned that one of the biggest hassles was that when art objects got stolen, they would have to go back to the gallery owners to get all the details. The problem was, that these galleries were still stuck in the 20th century, and a lot of the records were still kept on 3x5 cards, with Polaroid pictures stapled to them. Oh really? You don’t say. Yep. If you want to prove to the insurance adjusters (or recover what you own from the stash seized from a fence) you have to go rummaging around in some musty basement, hoping to find the right cardboard box. The gallery owners were enormously influential with the art collectors (i.e. 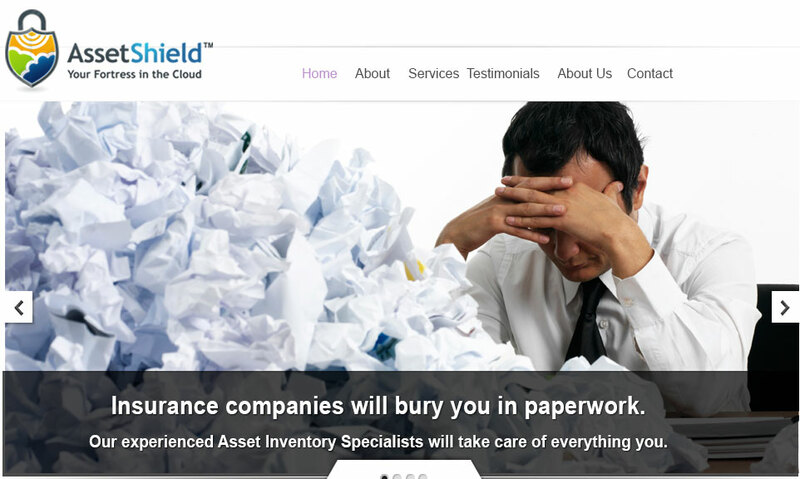 our potential customers), and they were desperate for some solution that wouldn’t fuse into a block of crumbling paper if there was a leak in the basement — and that they could upsell to their best customers for a percentage of AssetShield’s monthly fee. 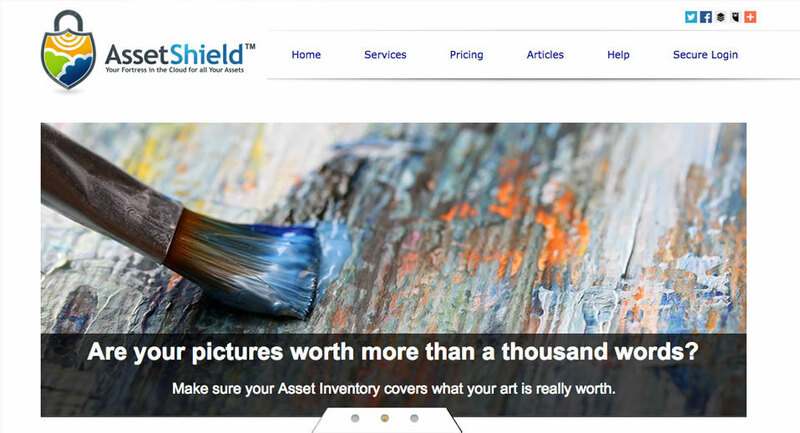 It was a real win-win-win; the art collectors get protected, the gallery owners/workers get peace of mind, and AssetShield had just found themselves a sales force. Once the site was finished, I created these 5x7 postcards, using a mix of Photoshop, Illustrator and InDesign. I started with some beautiful photos from the collections that AssetShield already protected, and then edited them in Photoshop to make them look like the stereotypical Polaroids with coffee stains on them that are languishing in shoeboxes and filing cabinets. These postcards made for powerful “leave-behinds” at the galleries, and generated a flood of phone calls when they debuted. I knew that I had a fairly narrow path to walk when it came to the messaging on this site. The target visitors are, by nature, a suspicious audience when it comes to extending their trust to some newfangled “Cloud-based service.” They’re going to need significant motivation to get them to move out of their comfort zone – so there has to be some vision of possible loss. But on the other, too much “OMG! Act now or you’re doomed!” messaging would destroy the core values AssetShield; they need to be seen as something rock-solid and reliable. Like How I've Told This Story? If I can make a cloud-based asset storage and retrieval system sound like something that you absolutely have to have -- well, imagine what I can do for you. Besides, you can be sure that I have a new-found appreciation for just how important it is to use cloud backups for critical client assets.